You are here: Home / HSA News / Stress-Free School Supplies Are Back! Great news! 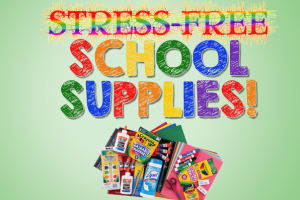 HSA has partnered with A+ School Supplies to make shopping for school supplies stress free for the 2019-2020 school year! This is a great option if you don’t want to spend your summer shopping for school supplies! They offer high quality supplies that specifically match the list of supplies requested by your child(ren)’s teacher, along with easy on-line ordering and free delivery straight to Harbordale. You will simply pick up your supplies at Orientation on Tuesday, August 13th and bring them to their new classroom – it doesn’t get easier than that! Profits from the sale of each box go to the Harbordale School Association to provide extra educational and technological items for all students at Harbordale. To place your order online, visit the A+ School Supplies website. Select the box for the grade(s) that your child(ren) will be entering in the fall, and checkout! Prefer to order by mail? A printable order form is also available. DEADLINE for ordering is Friday, August 2.